What if I tell you that there is an app that brings you free internet and daily raffle prizes? Enticing, right? Freenet is bringing everyday happiness and rewards to its users with the launch of its Dailygaya Raffle Promo. 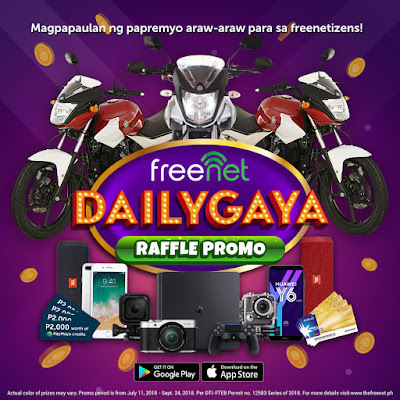 Everyday, from July 23 to September 29, lucky freenetizens will take home exciting prizes ranging from PayMaya credits and smartphones to brand new motorcycles by simply being a loyal freenet user. 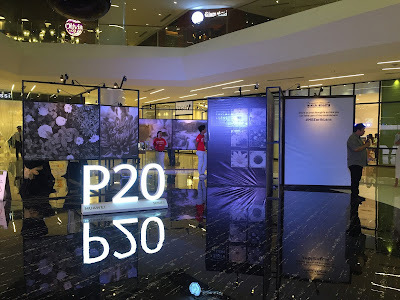 Freenet allows Smart, Sun, and TNT subscribers to access the apps and sites of the top brands in the country- including PayMaya, Lendr, Lazada, Philippine Star, Inquirer, and many more, free of data charge. 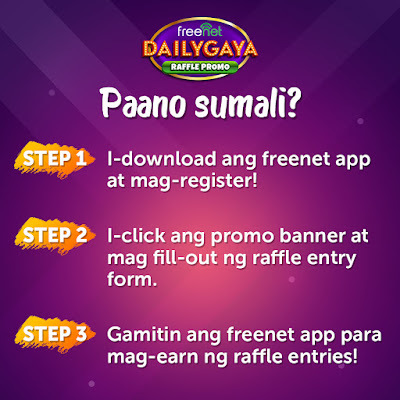 Freenet is the free Internet and rewards platform of PLDT and Smart's Voyager Innovations.